Don't have time for exercise while you zoom through your day? Get fit fast with the Flash Fitness Tracker LED Watch! 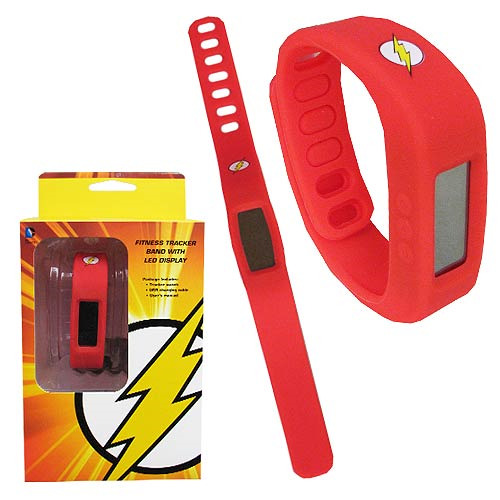 Featuring Flash's signature color and a subtle emblem, fans can proudly wear the watch all day and still blend in just like Barry Allen! Each LED Watch functions as a timepiece, pedometer, and includes a sleep monitor interface, as well as Bluetooth connectability. Whether fighting crime or going the long way to the break room, use the Flash Fitness Tracker LED Watch to keep your day on pace! Ages 12 and up.